1,000 wrecks with some of this wreckage containing barrels of rum. 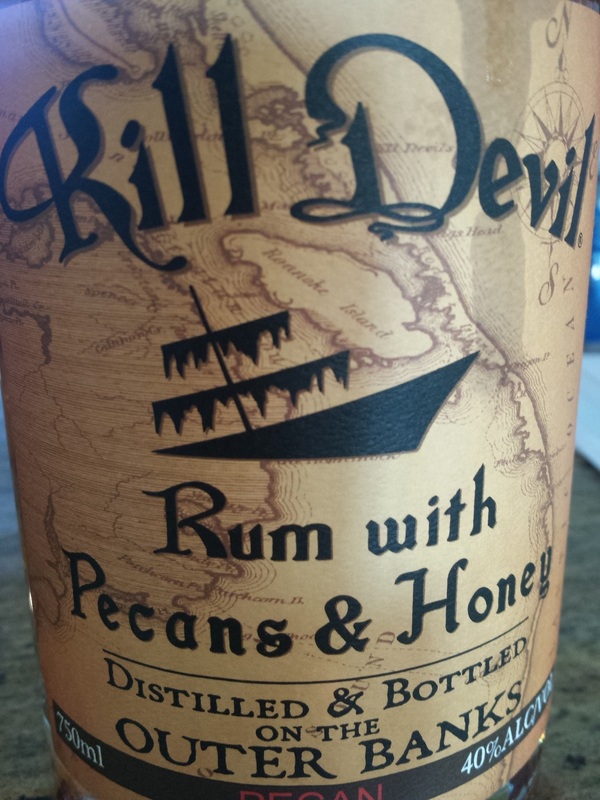 According to the distillery, "the town of Kill Devil Hills is believed to have been named for either barrels of rum of the brand name Kill Devil or for a rum that was 'strong enough to kill the devil'”. Kill Devil Hills is also the site of the Wright Brothers first flights and ironically their father, Bishop Milton Wright, was a leader in the Temperance Movement. 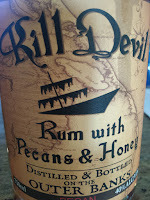 This week I picked up a bottle of the Kill Devil’s Honey Pecan Rum ($30). The honey and pecans are locally sourced from within 15 miles of the distillery, with the spent rum soaked pecans sent to local bakers. The rum is rather rich and tasty, the honey and pecans provide a mild nutty sweetness, with the finish so smooth. Go for it neat or on the rocks.